For the fifth time this summer, Phil Ivey is at a final table, this time in the $2,500 Mixed Hold 'em. Ivey is just one short of the record six final tables set by An Tran in 1992. This isn't the first time Ivye has made five final tables in a single WSOP either. He accomplished the feat back in 2002 as well. It took nearly two hours of three-handed play before Matt Stout (right) exited from the final table of the latest $1,000 No-Limit Hold'em. Once Stout busted, Samuel Gerber (left) and Max Steinberg (center) were left in a familiar spot--heads-up for a bracelet. Both Steinberg and Gerber got heads-up for gold in 2010 with both settling for second. This time around, Steinberg earned the win, while Gerber posted another second place finish in a WSOP event. That is the physical number of chips in the stack of chip leader Naoya Kihara in the $5,000 6-Max Pot-Limit Omaha event. In case you're wondering, it totals 1,087,000. Don't believe us? Go ahead, count it. Galen Hall (left) and Scott Seiver (right) square off in an intense game of Ice Rage during a break. 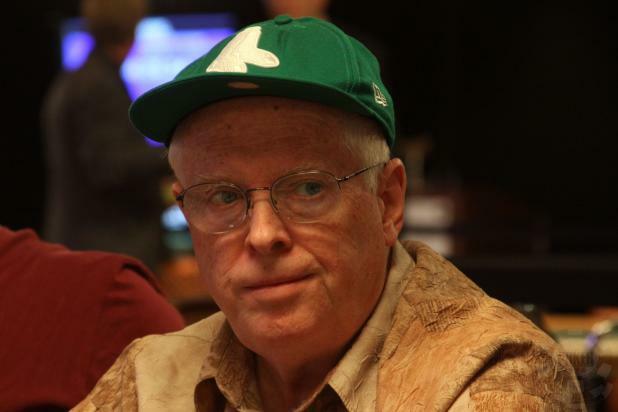 The legendary Dan Harrington, who won the Main Event in 1995, is sporting his trademark green Red Sox hat as he makes a run on Day 2 of the $2,500 Mixed Hold 'em event. 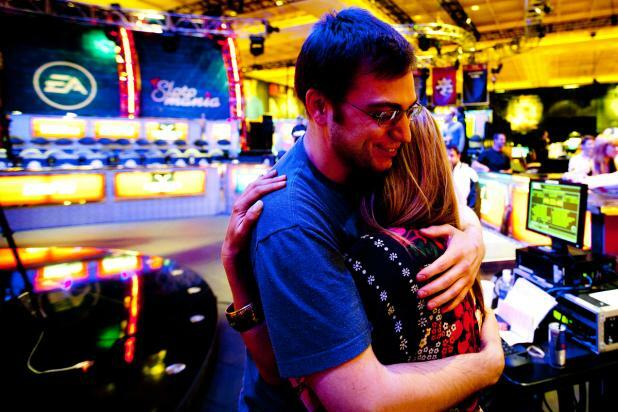 David "Bakes" Baker celebrates his second career gold bracelet with a loving embrace from girlfriend and fellow poker player, Maria Mayrinck. Since he started playing at the WSOP in 2008, he has made four final tables, won two gold bracelets, and racked up over $1.3 million in earnings. 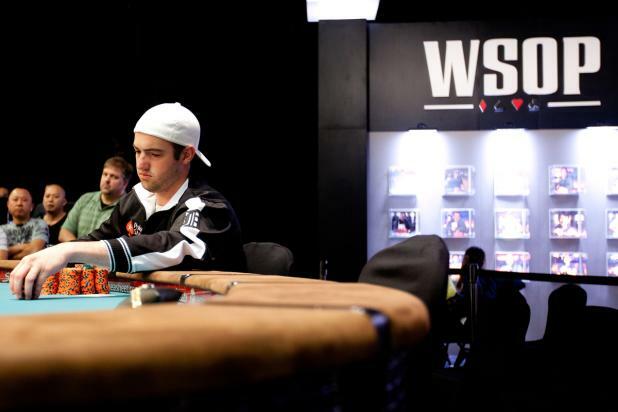 The $10,000 HORSE final table was the second most accomplished WSOP final table in history, trailing only the inaugural $50,000 HORSE event, which featured Chip Reese, Doyle Brunson, Phil Ivey, and a combined 27 WSOP bracelets. Ivey was part of Monday's final table as well and his eight bracelets helped bring the total tally to an astounding 25. Since Chris Moneymaker won the WSOP Main Event in 2003, the World Champions have been unable to follow up their multi-million dollar success with a second bracelet. The 2009 Main Event winner Joe Cada came close to changing that Monday night, but ultimately finished second to Carter Phillips in the $1,500 No-Limit Hold'em Event. He didn't get the bracelet, but he did get a nice $412,000 consolation prize. Upon busting the $10,000 H.O.R.S.E. Championship in fifth place, Phil Ivey jumped into the $2,500 Mix Hold 'em field in lieu of collecting his $99,739 prize from the cage. 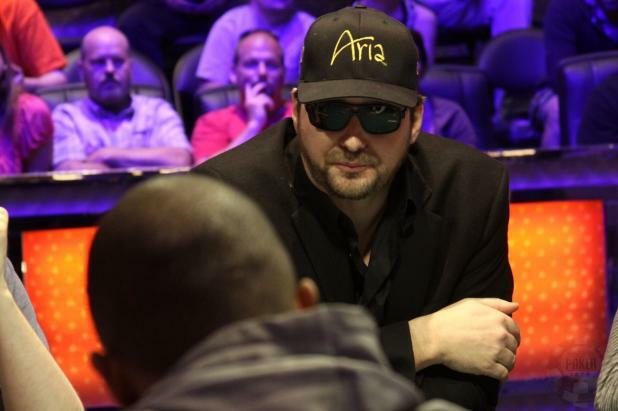 Phil Hellmuth and Phil Ivey find themselves at the final table again. However, this time they are together at the final table of the $10,000 H.O.R.S.E. Championship.